We love the signature fragrance of Nivea creme. The delightful, distinctive fragrance of the rich and creamy product has been an important part of our lives since childhood. No winter was complete without lathering up on some of that creme. And it gave our face, elbows, feet some much needed pampering after a long day out. Fortunately for us, the brand recently launched an all new range with the fragrance of NIVEA Creme. It includes a deodorant and roll-on, packed in the signature blue colour that the brand is known for. 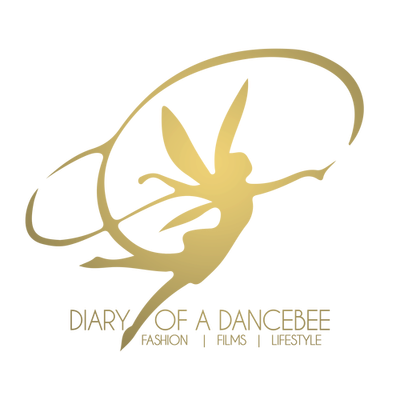 Read on to know our take on this range. What they promise? 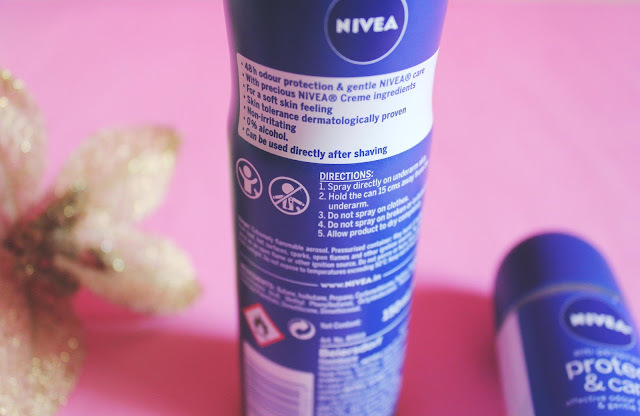 - Nivea protect & care is the only deodorant / roll on with precious ingredients and fragrance of Nivea creme. It protects against body odour and cares for your delicate underarm skin. The product contains 0% alcohol and can be used directly after shaving. Our experience - The new range by Nivea falls under the extra care product category, where gentle care of the underarm skin has been given prime importance. During the trial period, we used the deodorant and roll-on alternatively. While the signature Nivea fragrance lingers on for sometime and adds a sense of freshness, the products suffer a major setback in sweat resistance. When compared to their other deodorants / roll-ons like Fresh Natural, the protect & care range is not what you would want to pick on a hot afternoon, especially in Mumbai. But, it did leave the underarm skin feeling fresh and smooth, just like one would after applying the Nivea cream (minus the greasiness). The subtle Nivea creme fragrance stays on for a good 4-5 hours. In addition, we also like how it does not irritate the skin, especially after a waxing / shaving session. This is definitely the product's biggest pro! 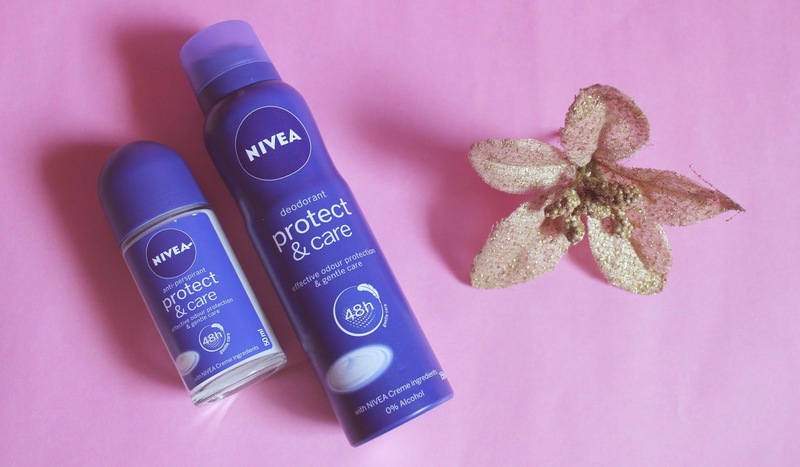 Packaging wise, it is similar to all the other deodorants and roll-ons by the brand (deodrant can and glass roll-on bottle respectively) and we love how their colour matches the big blue Nivea creme jar. The pricing is decent. Final Verdict: The perfect pick for those with sensitive skin. 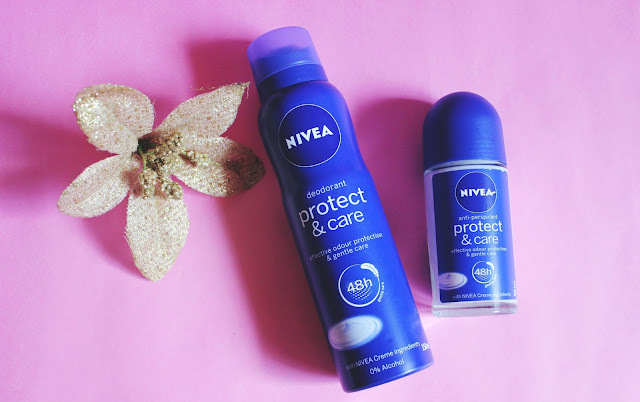 Nivea's protect & care range is a must buy if you love the signature Nivea creme fragrance. Also, if you underarm skin needs some gentle care. A good buy for the upcoming Monsoons. But if sweat resistance is what you have been looking for, give it a skip and opt for the Fresh natural range.